Take 'The Great Muppet' Quiz! It's time to start the music and time to light the lights with this week's quiz! Welcome to the show, ladies and gentlemen! 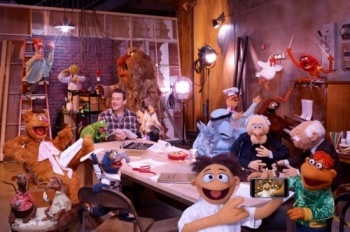 This past week saw the release of The Muppets, featuring the triumphant return of Kermit the Frog, Ms. Piggy, Fozzie Bear and the rest of the gang from The Muppet Show! In honor of Jim Henson's most famous creations coming back to the silver screen, we've put together a quiz about the Muppets and some of their history. Do you think you know who was the first Muppet to be on TV? Or how about Gonzo the Great's girlfriend? Test your knowledge in this week's quiz! Mah-na mah-na!